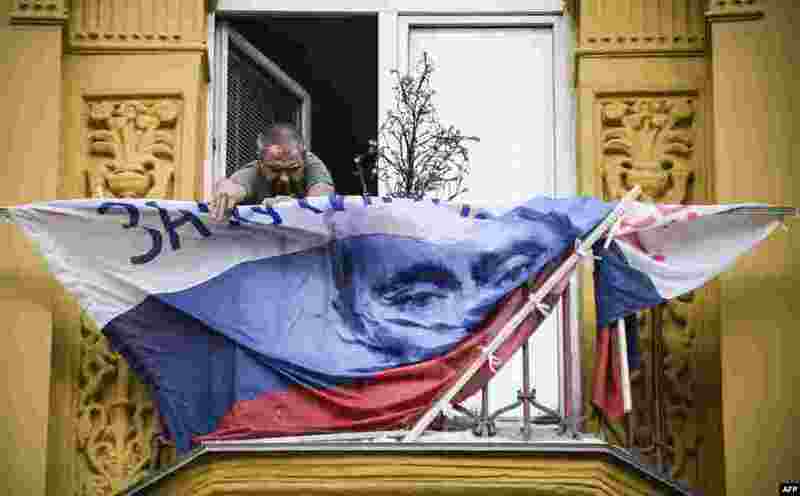 1 A man fixes a Russian campaign flag of President Vladimir Putin on the balcony of his apartment in Moscow. 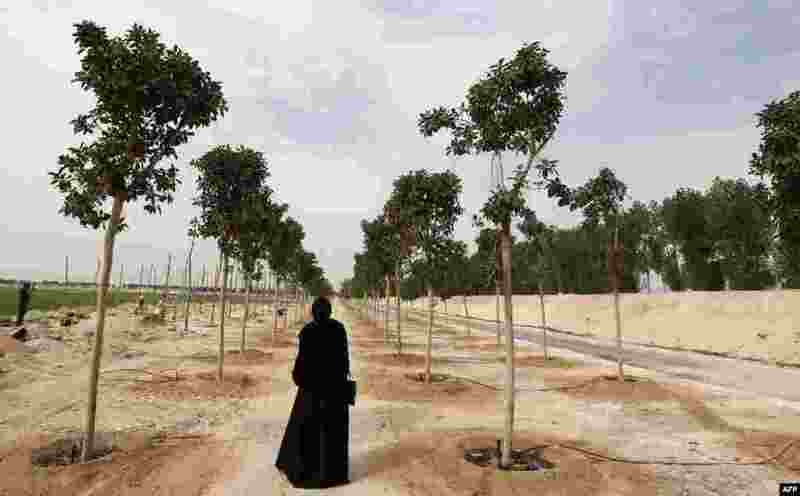 2 A woman looks at trees planted at the Supreme Committee for Delivery and Legacy Tree Nursery in Doha, Qatar. 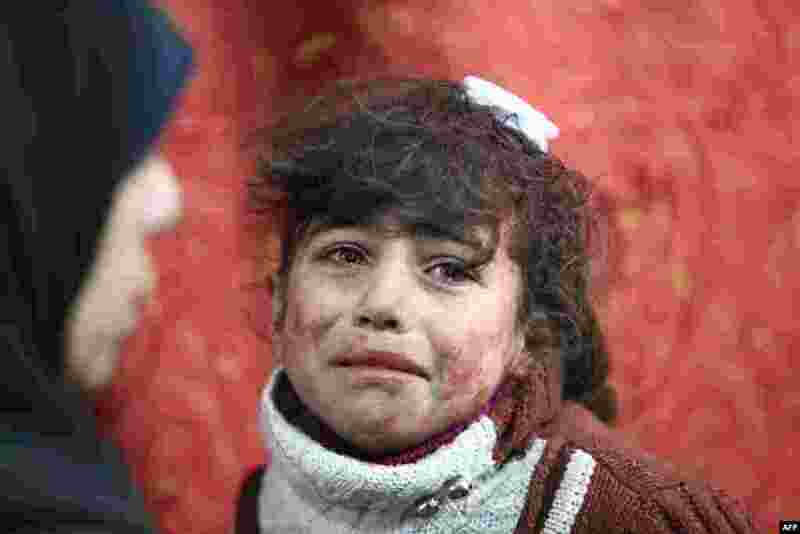 3 Hala, 9, receives treatment at a makeshift hospital following Syrian government bombardments on rebel-held town of Saqba, in the besieged Eastern Ghouta region on the outskirts of the capital Damascus. 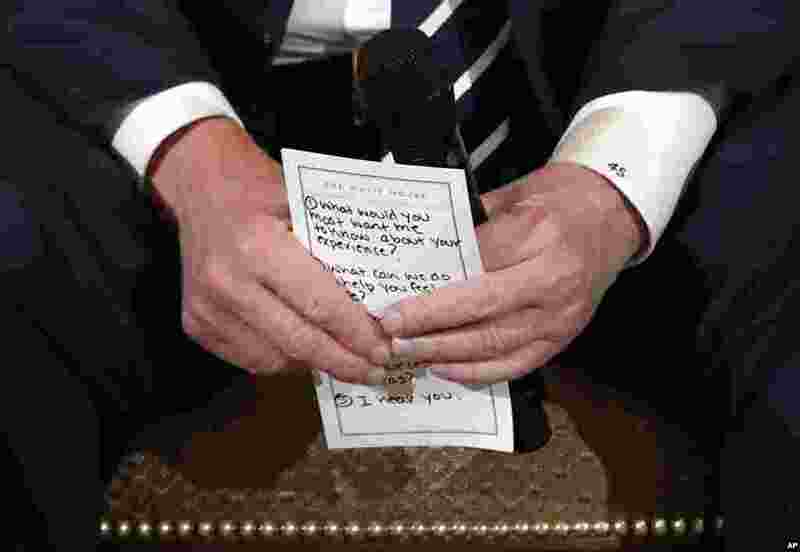 4 U.S. President Donald Trump holds notes during a listening session with high school students and teachers in the State Dining Room of the White House in Washington, Feb. 21, 2018. Trump heard the stories of students and parents affected by school shootings, following last week's deadly shooting in Florida.